Accompanied by experienced tour guides, you will get to know Buenos Aires from another point of view. We will be able to appreciate the Argentine capital with more tranquility, without the thousands of inhabitants that circulate through its streets in the day. 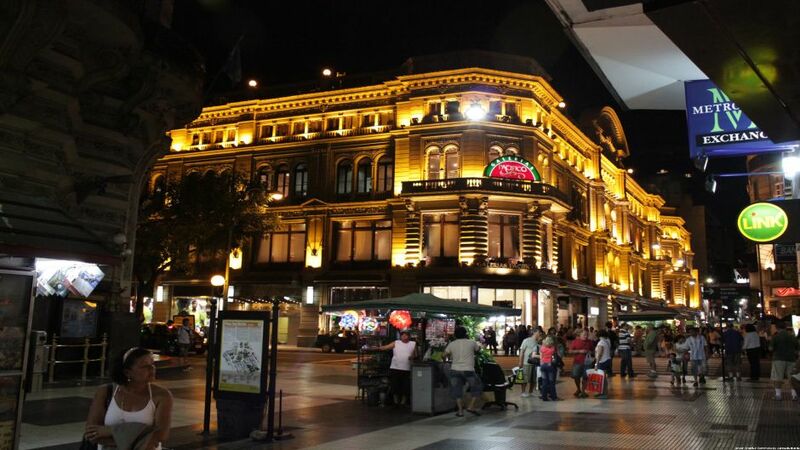 We will enjoy the glamor of Avenida del Libertador, surrounded by magnificent constructions from the 19th and 20th centuries and from our days. Views of the Planetarium, the Hippodrome, Polo Field in Palermo. An exceptional observation of the Monument of the Spaniards. In La Recoleta our guide will invite you to take a walk to discover the many cafes, pedestrian, restaurants, pubs and discos. 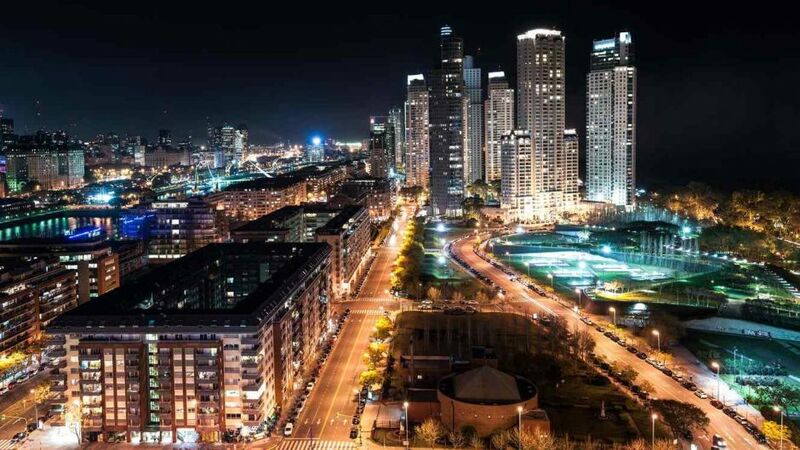 This is one of the places with the highest nighttime movement in the city. We continue our tour on Av. Alvear and Av. 9 de Julio. 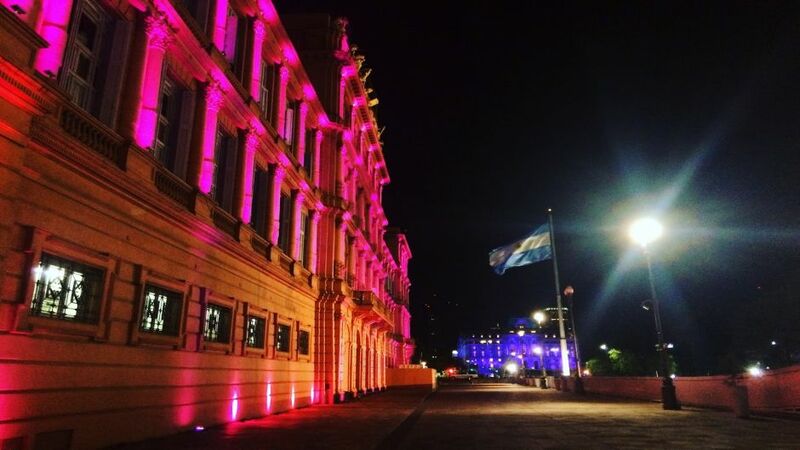 More night views, the old and renewed Avenida de Mayo until you reach the National Congress. We will cross Av. 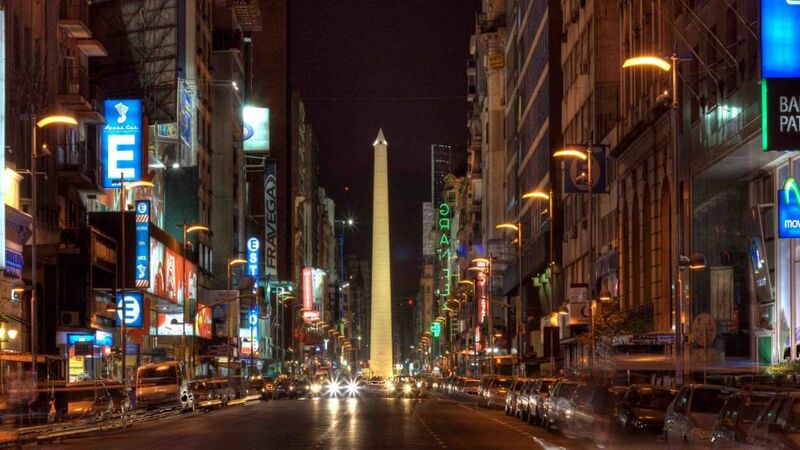 Callao and the mythical and vibrant Corrientes Avenue, with its theaters, cafes and bookstores, we will observe the Obelisk closely and then we will connect with the Plaza de Mayo area where you will get a spectacular view of the illuminated civic center. 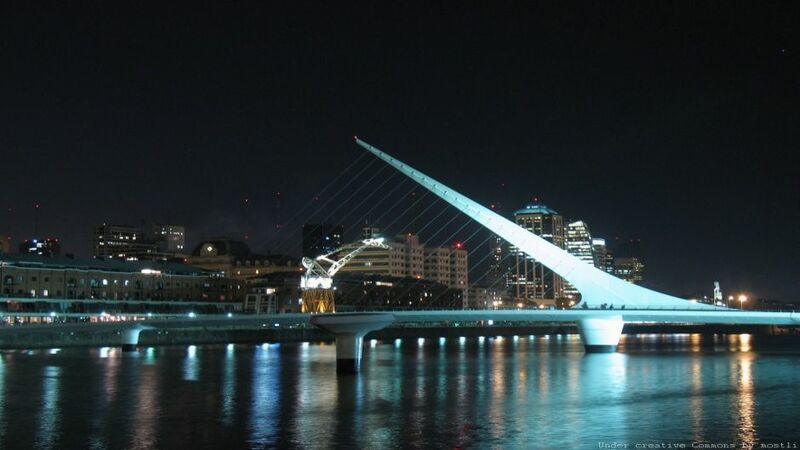 After a walk, we head to Puerto Madero, walk along the modern Puente de La Mujer and we can contemplate the beautiful and controversial Monument to Lola Mora.